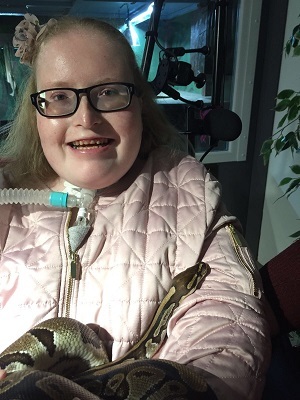 A trip to Snakes Alive was a good day for Rebecca. Her mum said “Thank you so much for the experience yesterday. Rebecca had an amazing time.. She really loved all the interaction and the staff there were so lovely. We are very grateful indeed to you for organising this wonderful experience for her”.